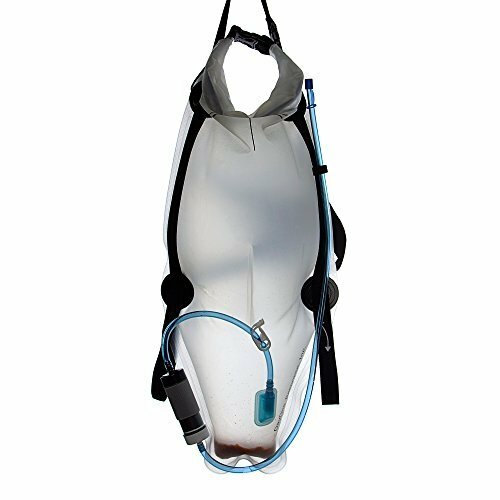 Water Purifying Backpack - Moar Stuff - You don't need it but you know you want it. 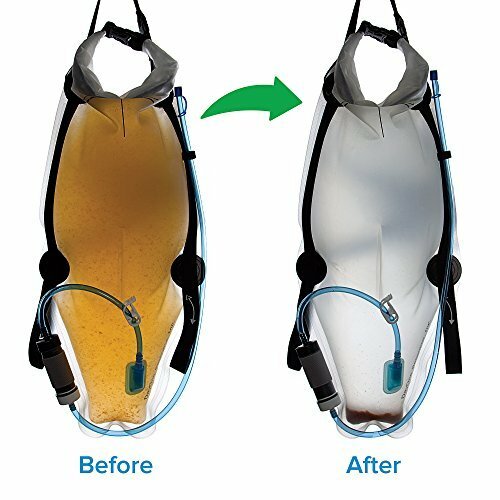 This Water Purifying Backpack from DayOne (via Amazon) is a 2.5 gallon (10 liter) backpack that purifies and filters even the dirtiest water in just 30 minutes. It uses both chemical and filtration techniques to treat and store drinking water. 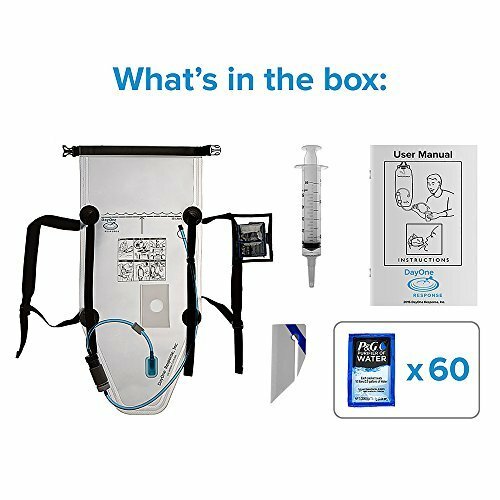 It is designed for use in situations such as hiking, camping, and emergency situations where the drinking water is of unknown quality. For example, after a natural disaster like an earthquake or hurricane. The clear plastic material lets you watch even the foulest brown stream water transform into crystal clear drinking water. Just fill it up, add the chemical treatment tablets, shake it, hang it up, and wait. Any left over sediment or floating matter will be filtered out via the replaceable filter in the hose. The water bag uses P&G Purifier of Water chemical treatment packets. Each 4-gram packet treats 2.5 gallons (10 liters) of water. The chemical easily removes turbidity, viruses, bacteria, and even arsenic from contaminated water. The Water Purifying Backpack comes with 60 packets of the chemicals to get you started. You can always order more if you wish. Just roll it up into a compact bundle for easy storage in your camping or survival gear. It’s superior to a survival straw or other compact filter because you can easily use the water for cooking. A survival straw is really only good for getting a quick drink. Don’t get me wrong, that’s important but, if you’re in the field for a few days, you might want to cook something. 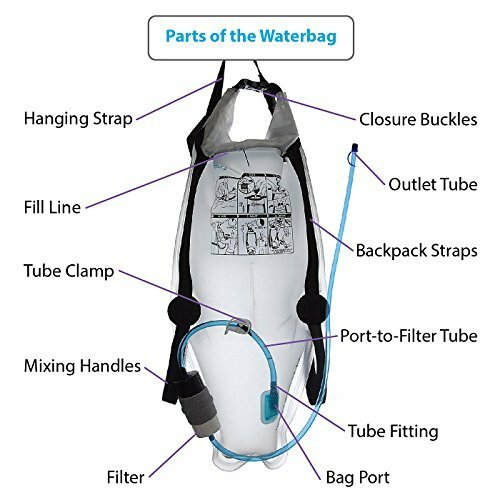 So, if you’re looking to improve your bug out bag or family survival kit, get yourself a DayOne Water Purifying Backpack. Dimensions: 15.5 x 11.3 x 3 inches. 2.5-gallon (10-liter) family-sized water purification unit. Multi-treatment process includes chemical disinfection and filtration. 60 Chemical purification packets are included. Sturdy backpack straps for portability and handle strap for easy filling and hanging. Drinkable water is the most important thing in a survival situation. This is a perfect addition to your family survival kit.